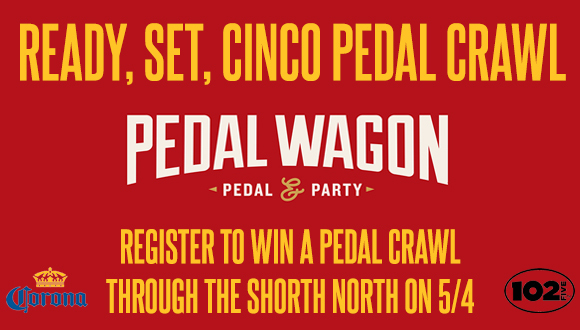 Join Corona for the inaugural Ready, Set, Cinco Pedal Crawl on May 4th in the Short North. There will be two sessions, 11:30-1:30 and 4:30-6:30. Participants will meet at Park Street Cantina where you'll be put into teams by pedal wagon and pedaling your way to the stops to get your next cervesa! Corona drinking experts will be there to guide each wagon and each team to victory, and, to give our prizes!! Must be 21 or older to participate. Please, drink responsibly.